The Fiesta shoe by Drew is a very supportive shoe for the more difficult to fit foot. The oblique, deep, broad last offers more width and depth capacity than the other lasts by Drew for women. The Fiesta is excellent for ankles which roll in or out and for the pes planus or high arched foot. Comes with an insert for added depth and / or cushioning. 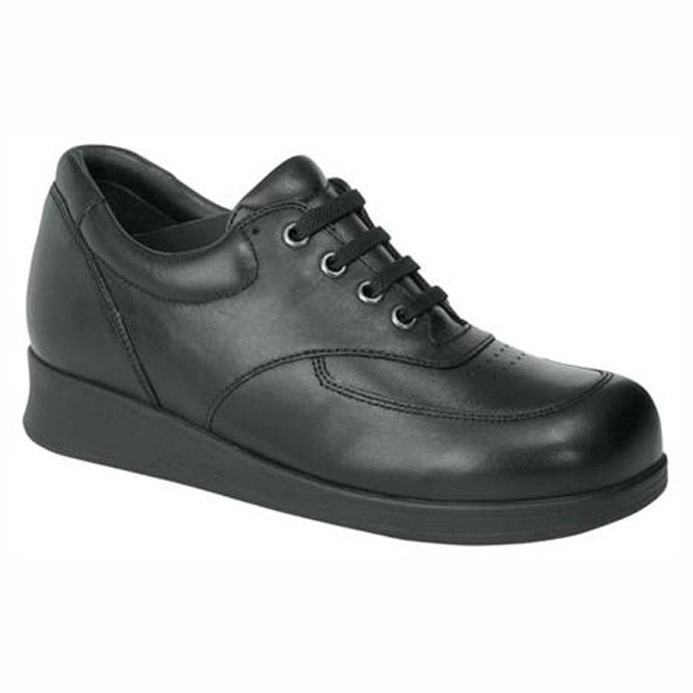 Has a lightweight polyurethane rocker bottom outsole. Has an extended medial heel counter, giving more support to the foot medially. Has a soft foam padded tongue and collar. 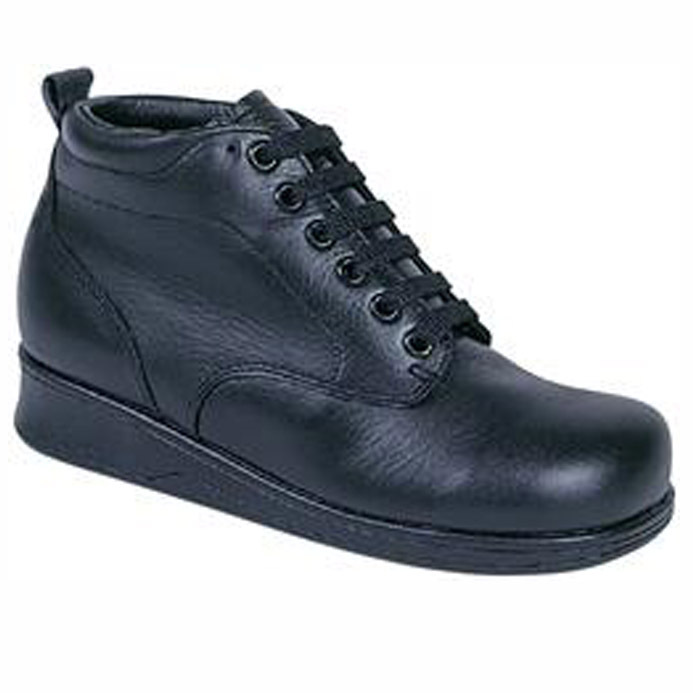 A boot style of the Fiesta is available with the Sedona by Drew, which is available as a black lace up. The Fiesta shoe and the Sedona boot are approved by Department of Veteran Affairs, if eligible. A person’s choice of footwear is influenced by foot health, personal preference and price. At Happy Feet Pedorthics, following the assessment and fitting we encourage what is best for the client’s foot health. Sometimes client choice is for a shoe which is not our first recommendation. At Happy Feet Pedorthics we advocate for best choices and we also respect client choice. The list below indicates our experience of fitting people with varying health issues in the Fiesta shoe by Drew.